When you find a tea that makes you feel good, or for the season we’re in, makes you feel better, it’s one of the great joys of this life. Tea will be a lifelong learning process for me, so I won’t know everything right away. Nor would I want to. But my disappointment does come from never hearing about Traditional Medicinals until just a little over a year ago. The Seasonal Sampler photographed above, was a Christmas present during the holidays in 2013. What became a discovery has now become one of my favorite brands of teas. The charming label certainly helps. 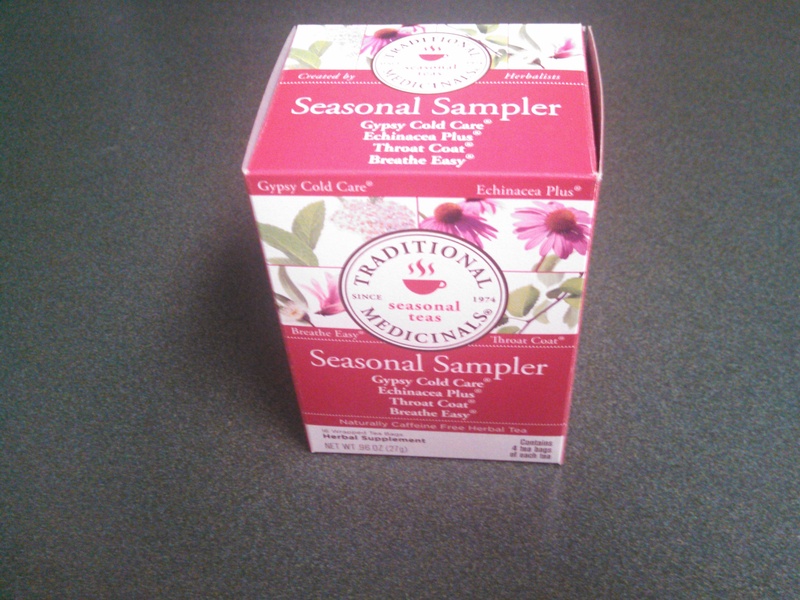 The sample package consists of Gypsy Cold Care, Echinacea Plus, Throat Coat, and Breathe Easy. Now the names are pretty self explanatory and the intended results are obvious. Echinacea enhances the entire system, so it’s basically a combination of what all the other teas intended, and then some. At least that’s my interpretation. All four teas I have enjoyed immensely. And I am glad that my indoctrination process came from the sample package. As I go along, in future posts, I will hopefully review all the teas in the Sample Package. Perhaps I will do a couple at a time. Tonight I enjoyed the Breathe Easy. The licorice root and eucalyptus is detected right off the bat, and gives it a distinct bitter type of taste. And I love it. I actually went against my habit of adding nothing to my beverages, but per the package suggestion, I added a little honey. It’s the perfect contrast to the taste of the tea itself. I see that fennel is listed as an ingredient. Either I don’t taste it or I have no idea what fennel tastes life. I concede it’s more of the latter. I have had issues with breathing and my respiratory system for a while, and the cold weather only enhances that. It’s a combination of stress, poor eating habits (especially during the holidays), my environment, and other things I do to myself. 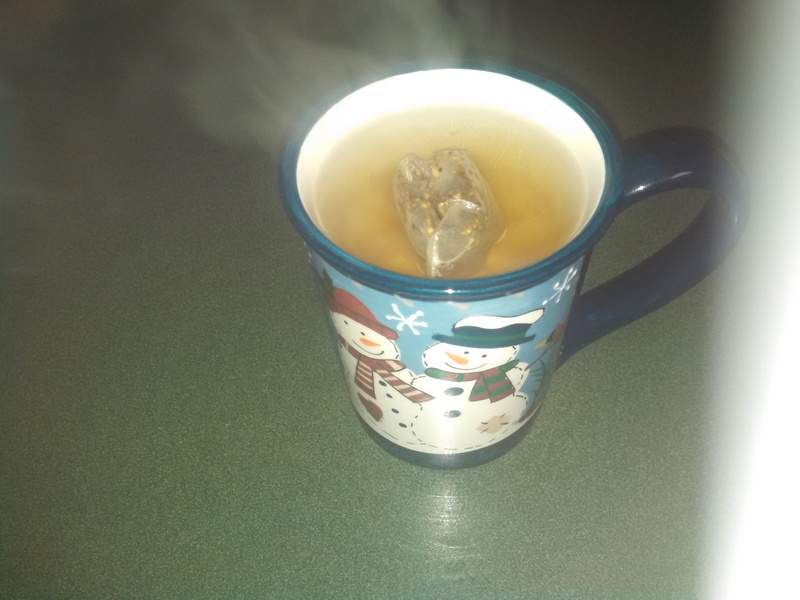 This herbal tea, and others like it, have brought upon major improvements to my health. Of course a lot of this comes from within. You could call it a placebo, but I feel so much better after just one cup. And I feel great writing about it. I was happy to read that this company just celebrated their 40th birthday. I am just perplexed it took me this so long to find out about them. Oh well, all the more important to play catch up. Of course this journey of loving tea is a marathon and not a race. And how about their awesome mission statement? Traditional Medicinals is a brand I am happy to support and will be excited to learn more about. And share my thoughts of their teas and their message in future posts.